Driving down Republic Road with my son, I looked over and saw part of a white cloud behind Farmer’s Park in Springfield, Missouri. We drove over to check it out. We parked and walked down a small hill to what turned out to be the Cloud House. The Cloud House is a small house made out of wood, with a large white cloud on top. It had two rocking chairs in it, so we sat down. Right as we sat down, water started to drip into the openings on the side of the house, watering the plants that are in two window openings on each side. It is a very relaxing experience, and there is nothing else quite like it in Springfield. 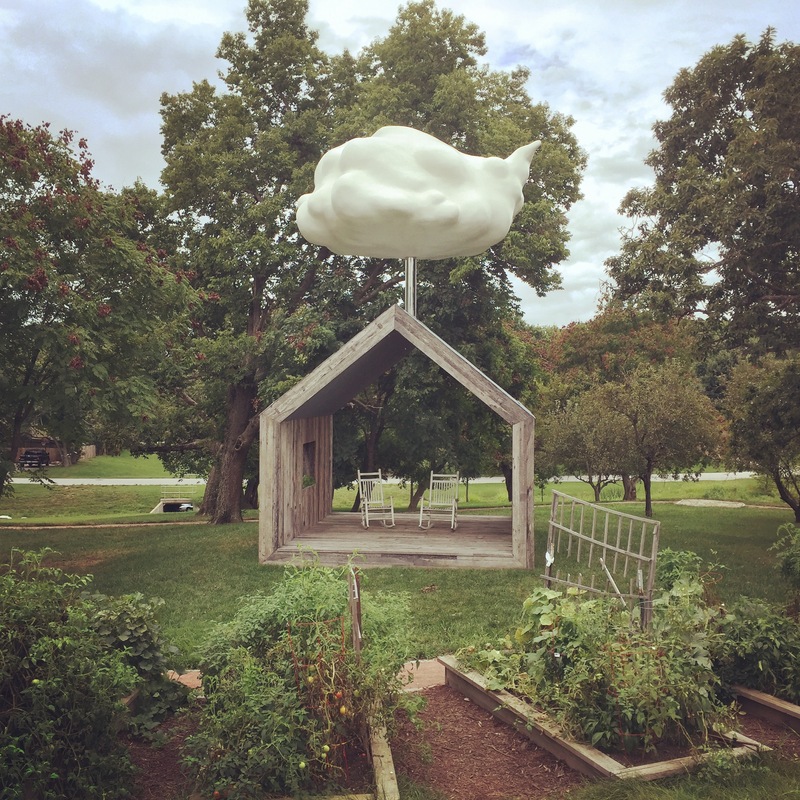 When we got home I wanted to learn more about it, so I did some research online and found this article from EcoArtSpace.It turns out the Cloud House is a sculpture by Matthew Mazzotta. It is the first permanent interactive sculpture in Springfield. Sitting on the rocking chairs in the house triggers the cloud to “rain” water down onto the roof, which waters the plants. 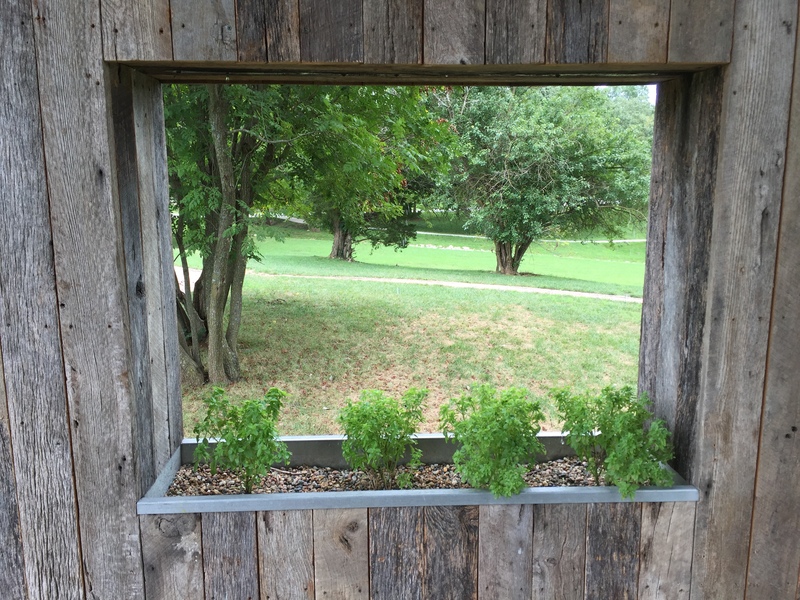 There are also garden areas and a walking trail around the house. It is worth checking out!